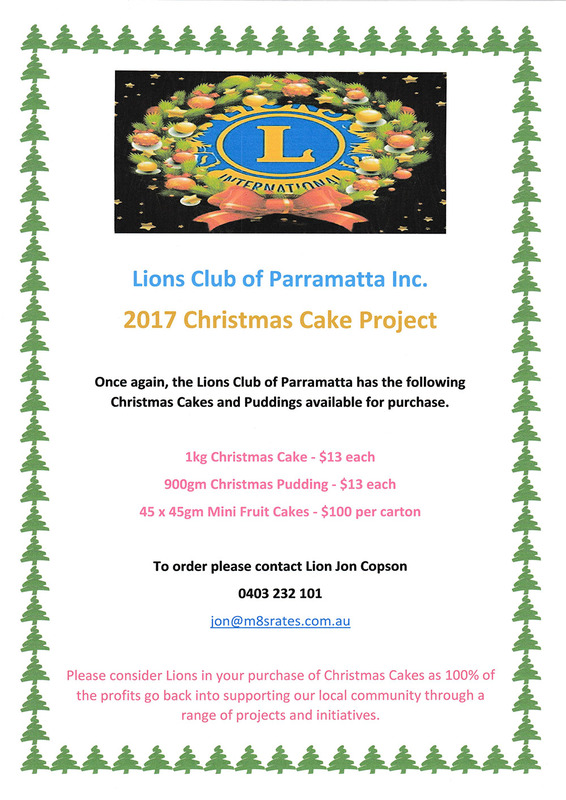 We are pleased to advise that we have been offered the following dates to sell Christmas Cakes at Bunnings North Parramatta. We will be on-site from 10am to 3pm each day. We do also have EFTPOS facilities to make payment a whole lot easier (No Amex or Diners though) and will continue to accept cash also. We will also have a collection bucket on each day we are here. Please consider those less fortunate in this festive season.